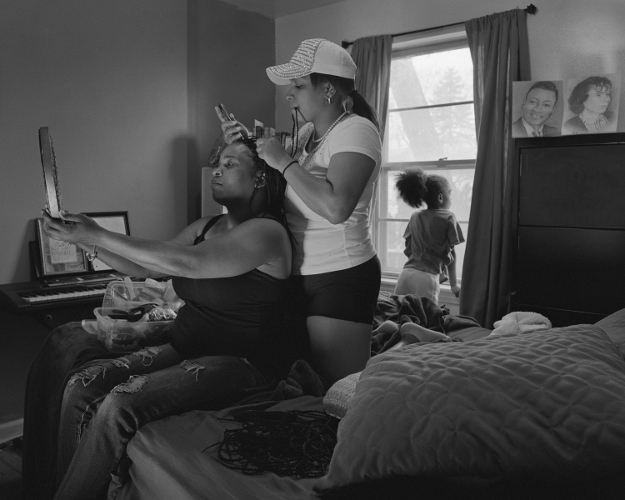 LaToya Ruby Frazier: Flint is Family by photographer and MacArthur Fellow, LaToya Ruby Frazier, currently on exhibit at the Frost Art Museum (Miami), explores Flint, Michigan’s water crisis and the effects on its residents. 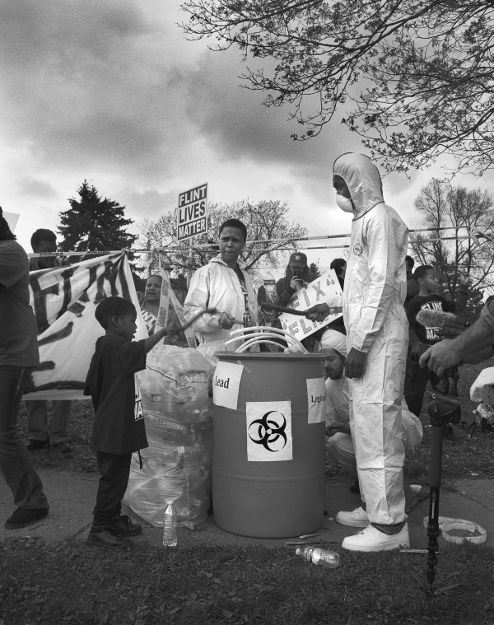 Frazier spent five months with three generations of women – the poet Shea Cobb, Shea’s mother, Renée Cobb, and her daughter, Zion – living in Flint in 2016 witnessing their day-to-day lives as they endured one of the most devastating manmade ecological crises in US history. 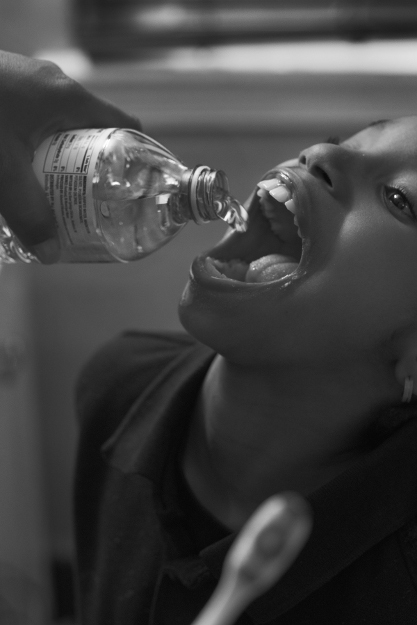 Citing Gordon Parks and Ralph Ellison’s 1948 collaboration Harlem is Nowhere as an influence, Frazier utilized mass media as an outlet to reach a broad audience, publishing her images of Flint in conjunction with a special feature on the water crisis in Elle magazine in September 2016. 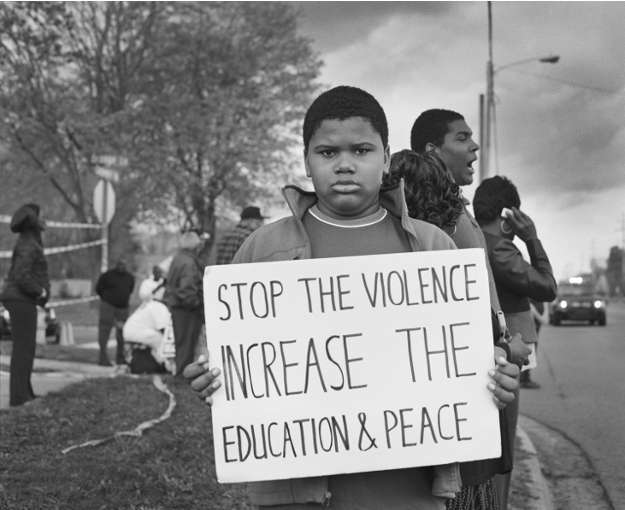 Like Parks, Frazier uses the cameras as a weapon and agent of social change. The exhibition is part of the Martin Luther King, Jr. Exhibition Series, which addresses issues of race, diversity, social justice, civil rights, and humanity to serve as a catalyst for dialogue and to enrich our community with new perspectives. This exhibition is sponsored by African & African Diaspora Studies Program, College of Communication, Architecture + The Arts, FIU Alumni Association, Herbert Wertheim College of Medicine, Robert Stempel College of Public Health and Social Work, and Multicultural Programs and Services. The exhibit is on view through Sunday, April 14, 2019.